Its been established that 2019 is all about going for it and if you are a real believer of the whole “New Year, New Me” mantra, then you know it’s all about giving your hair a new look, for a fresh start of course. Whether you are loyal to a long length, love a lob, or even want to try a pixie, you know this is the time to give your locks a new look. 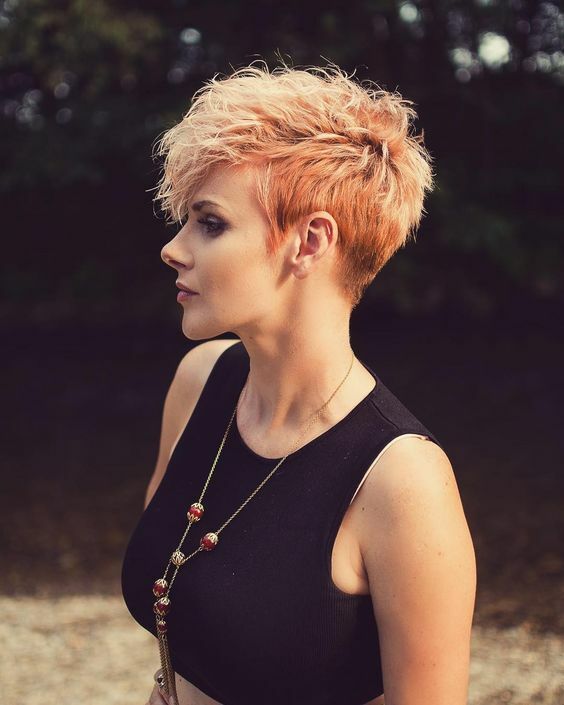 We know it can get confusing when you are trying to figure out what cut to get, but here is the deal, we have listed some of the biggest haircut trends that you will be seeing in 2019, so if you want to go all dramatic or keep it subtle we have it all the haircut inspiration you need before heading to the salon. In 2019, you can go around making a bold statement with a set of fresh fringe and according to hair specialists, there will be a whole lot of people “rocking this haircut this year, no matter what the hair texture is. It is the in thing now”. This can be pulled off either with a shag, short blunt bob or be it the undone wavy or curly fringe; it is a cut that is suitable for anyone. We all love the classic long hair and chopping them off is as close to a heart attack as a woman can get, but hey its okay to take the risk once in a while. The cut favoured by all of your ’90s-era heartthrobs is making a comeback this year. Not only is it classic, versatile and chic; the textured choppy look is also very easy to style and looks awesome on so many people. If you aren’t sure what to get, face-framing layers and shaggy layers are going to stay in 2019, like the one Kate Middleton regularly sports that always keeps her fabulous long locks bouncy. According to L’Oreal Professionnel Artist Drew Schaefering, bi-level haircuts will be huge in 2019, “There is an element to haircuts now that we haven’t seen in a while involving bi-level perimeters and a stronger shape cut around the face, hinting toward shapes reminiscent of the ’70s and earlier periods,” adding that “I am seeing more women embracing this bold shape and cutting the length from the front and shifting it to the back, while cutting away around the face, resulting in a stronger round shape”. Bobs/Lobs (Long Bobs) are the hottest hair trend for 2019, especially the “undone, rough” textured ones, like the one Dua Lipa sports. It is the most low maintenance cut ever. According to Celebrity hairstylist Riawna Capri, “The textured bob is the opposite of [a blunt bob]. It’s deconstructed and uneven in places, with a method of madness.” From a blunt bob to a no-fuss lob, rush to the nearest salon and take the risk of chopping the hair. For everyone with curls, its time to embrace them. Deeply nourished ringlets and shaggy curl cuts are big this year! Long, layered curls with texture and volume are definitely going to be the top priority and more carefree energy, of course.